Not your typical farmhouse! Large deck, detached garage, wide driveway and partially fenced yard. This home features 2 Bedrooms, Living Room, Dining Room, Eating Area next to the Kitchen, Office and Sunroom! Sliding glass doors in the sun room for easy access to the yard. Full unfinished basement. Nice quiet neighborhood. This is a Fannie Mae Homepath property. "Community events community plans special events throughout the year. Friendly people. Lots of paths to walk, ride bikes. " "We are new to the neighborhood and so far we love it!! my neighbors are nice, there is alot of kids and dogs! " "we have a great 4th of July fire works display. And just before Christmas the Holiday train stops in our small town. " 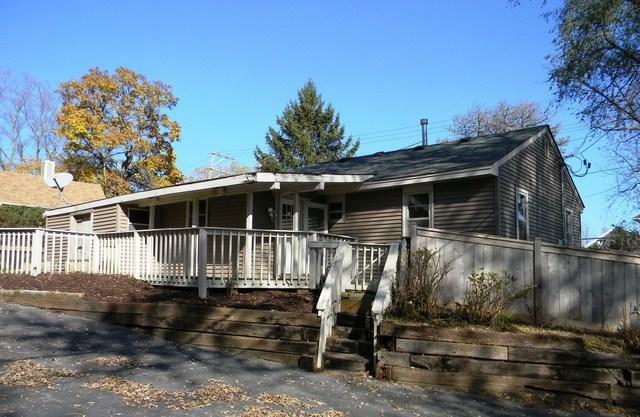 "It’s great and confortable safe I like this area because is relax and lakes The guys’ll play on the street safe The landscape es beautiful and amazing thank "
198 Reinking Rd, Pingree Grove, IL 60140 is a 1 bathroom, 1,354 sqft single-family home built in 1961. This property is not currently available for sale. 198 Reinking Rd was last sold on May 24, 2017 for $84,000 (19% lower than the asking price of $99,900). The current Trulia Estimate for 198 Reinking Rd is $169,124.